We explore where and what celebrated chefs eat outside their kitchens. 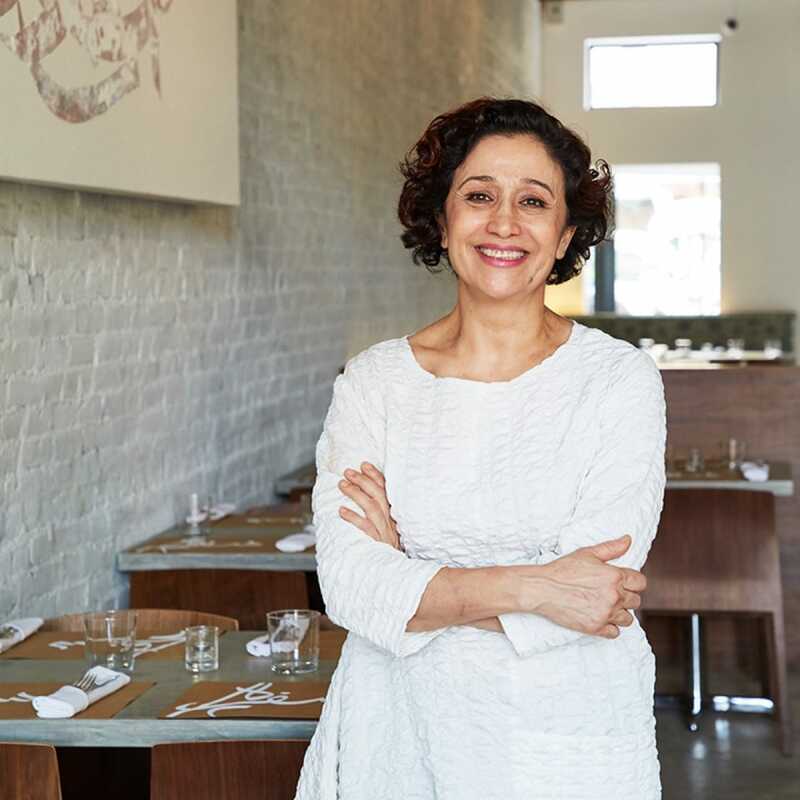 Nasim Alikhani is the chef and owner of Sofreh, the new acclaimed Persian restaurant in Brooklyn's Prospect Heights. Alikhani was always inspired by the wonderful female cooks in her family. "The women in my family are fantastic cooks and growing up I watched their busy hands intently. Each morning I awoke to a house filled with the aromas of my mother's cooking before I left for school and she to work, each with a home-cooked lunch," says Alikhani. During the political upheaval in Tehran, she emigrated to the New York from Iran in 1983. She was a student, pursuing law to become a judge, but also worked as a waitress, nanny and family cook for Persian families while finishing school. Throughout her life, Alikhani married, had twins, ran a copy shop and opened foundations in Greece and Iran. In addition, she cooked for homeless centers regularly. Nasim began to cater events for charities about 10 years and studied at the International Culinary Center. After her children went off to college, Alikhani opened Sofreh at 59-years-old—her dream—where she serves authentic Persian home cooking. I had the saffron pistachio ice cream at Sofreh just before leaving for the evening. It was creamy and perfume-y with a touch of sea salt. I usually have breakfast at home. I am a morning person so I wake up early. I typically have some pita bread with feta cheese, cucumber or tomato, and walnuts. I tend to go out or do something special for late lunch. Controversial question: Do you believe in brunch? I come from a culture where lunch is the main event, so I really was excited when brunch places started popping up everywhere in the early days because it allows for a relaxed and communal way of eating. However in recent years, the brunch scene has become repetitive and predictable to me, so I prefer a late lunch. My favorite neighborhood brunch spot for the past 20 years was Noho Star before they recently closed. Now, for a relaxed and healthy late lunch I go to Telly's Taverna in Astoria, Queens. I often order green salad, grilled octopus, fried cheese (saganaki) and whole grilled fish. What is your 2:00 a.m. food order or favorite spot? There is an old-school Greek diner near my place called The Famous Cozy Soup 'n' Burger. The 2:00 a.m. thing doesn’t happen often for me at this point of my life (I am 59 and care about my health), but I love their extra crispy sweet potato fries with eggs over easy. What is your local coffee shop and what do you order? Hungry Ghost near my restaurant. I love to have a cappuccino there before starting my day at Sofreh. In the afternoon I get an Americano. Where do you go when you travel to your favorite city? My most remarkable food experiences outside of New York have been in Greece. In most tavernas, the food is fresh, people and staff are friendly and relaxed, but there are a few experiences that I just crave and will go back for, such as loukoumades (fried doughnuts served with honey) at Krinos in the old market in Athens and Athiri Restaurant in the old center for their version of stifado, a rabbit stew with onions. When in Iran, I crave beriooni (aka, beryani), which is a local dish from my hometown of Isfahan. I visit Azam Beryani, a hole in the wall next to the old bazaar that has been there as long as I can remember. What is the "laziest" meal you put together for yourself this past week? I make my own yogurt as often as I can. There is nothing better to me than fresh, homemade yogurt. A few nights ago, I made basmati rice topped with butter and sumac with a side of buttered over-easy eggs and yogurt. What is your favorite snack food and why? Snacking is an American thing that I still haven't really acquired much of a taste for. I love having fruit between main meals. Probably ice cream. When I don't have access to Persian ice cream, then I go for Ben & Jerry's New York Super Fudge Chunk. 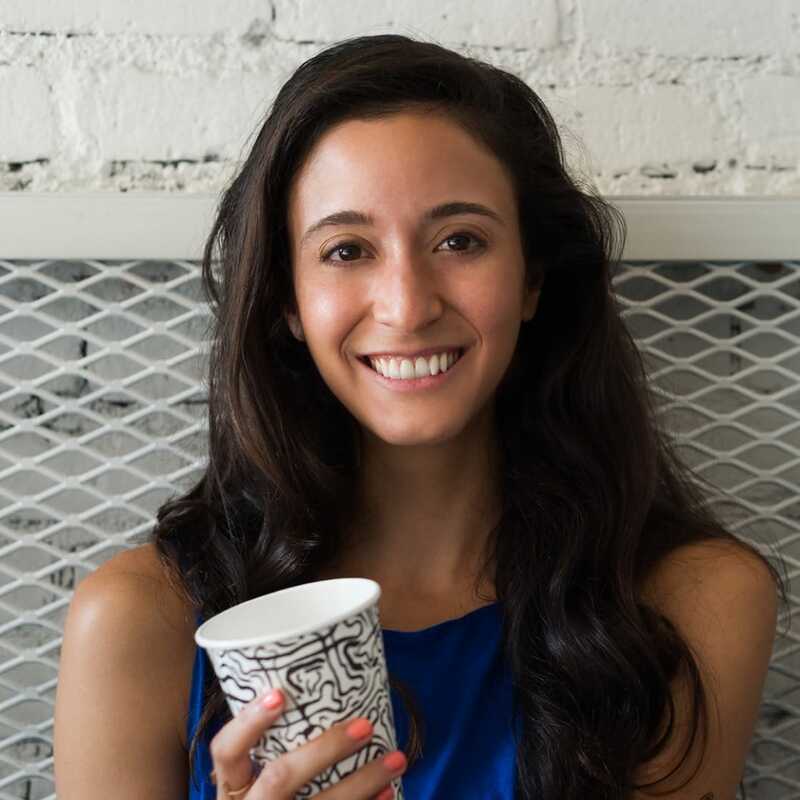 Marisel Salazar is a New York City-based food and travel writer. She also produces culinary events and neighborhood dining guides with chefs across the U.S., and consults for a variety of brands on trends and social media. Follow her lauded Instagram account, @MariselMSalazar, for culinary and editorial related projects. She comes to New York by way of Panama, Hawaii, and Japan. We explore what celebrated chefs eat outside their kitchens.